The South Wales Mineral Railway (SWMR) was promoted by a group of English industrialists and local landowners who wished to exploit the minerals around Tonmawr and Glyncorrwg. The broad gauge line, which included the rope-worked Ynysmaerdy incline, was laid out by Brunel and finished by Brereton, the total route mileage being about 12 miles. The line was leased to the Glyncorrwg Coal Co. even before construction started. South Wales Mineral Railway Act, "for making a railway from the South Wales Railway at Briton Ferry to Glyncorrwg in Glamorganshire …". South Wales Mineral Railway (Lease) Act, "to enable the SWMR to grant a lease of their undertaking." 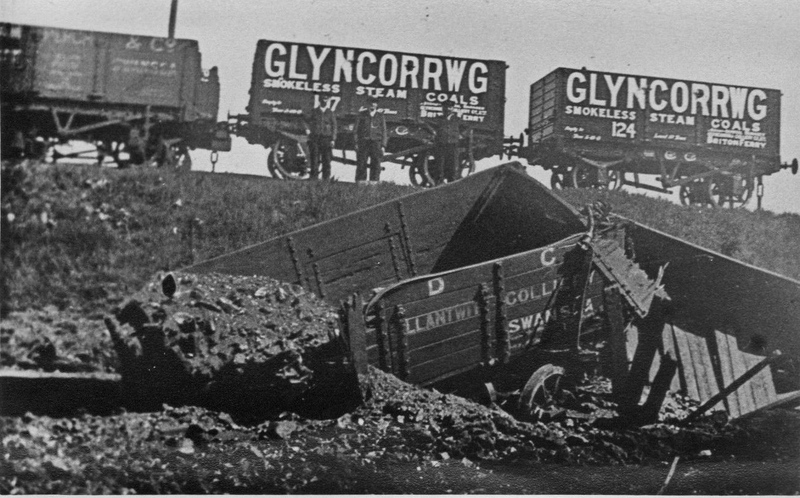 SWMR leased to the Glyncorrwg Coal Company. South Wales Mineral Railway Act, "to enable the SWMR to extend their railway to the Briton ferry Docks; and for other purposes." Briton Ferry to Tonmawr opened. Tonmawr to Glyncorrwg opened. Extension to Briton Ferry Dock completed. Lease transferred to Glyncorrwg Coal Co. Ltd.
Glyncorrwg Coal Co. Ltd reformed as the Glyncorrwg Colliery Co. Ltd.
Line converted to standard gauge. SWMR Co. and Glyncorrwg Colliery Co. Ltd. into Receivership. Glyncorrwg Colliery Co. Ltd. reformed as the Glyncorrwg Colliery Co. Ltd.
South Wales Mineral Railway Act, "to empower the SWMR Company to construct a deviation railway, to abandon part of their existing railway, to raise money, and for other purposes." Never put into effect. Agreement for the SWMR to be worked by the PTR&D as from 1 January 1908. Receiver discharged. Four interrelated agreements: (1) Col Wright, the PTR&D chairman, and others to purchase share capital of the SWMR and certain of the rolling stock, (2) the GWR to provide the funds for the purchase, (3) the SWMR to be worked by the PTR, (4) between the PTR and the Glyncorrwg Colliery Company Ltd as to rates. The net result of the first two agreements was that the GWR became, through trustees, the owner of nearly all the tangible assets of the SWMR. 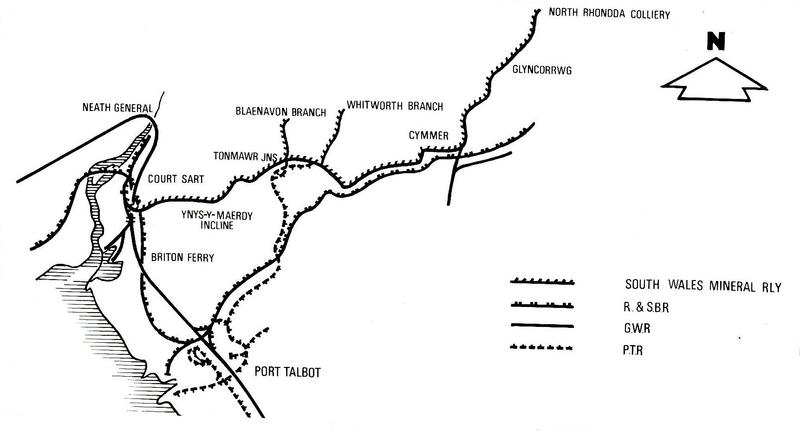 The colliery company agreed to bring all coal from its collieries north of Glyncorrwg to the sidings there using its own engines, and to all traffic originating north of Tonmawr being sent via the PTR to Port Talbot. Working agreements with the colliery company terminated. The GWR granted powers to run over and use the railways of the SWMR. Deemed to have come into effect on 1 January 1908. Ynysmaerdy incline closed to traffic. Passenger train service between Cymmer and Glyncorrwg commenced. Withdrawn September 1930. SWMR absorbed into the GWR. Gyfylchi tunnel closed due to landslip. Final section of line from incline top to Tonmawr closed. Workmen's trains between Glyncorrwg and North Rhondda Halt finally discontinued. Cymmer to North Rhondda closed. For the South Wales Mineral Railway.